POW! WOW! 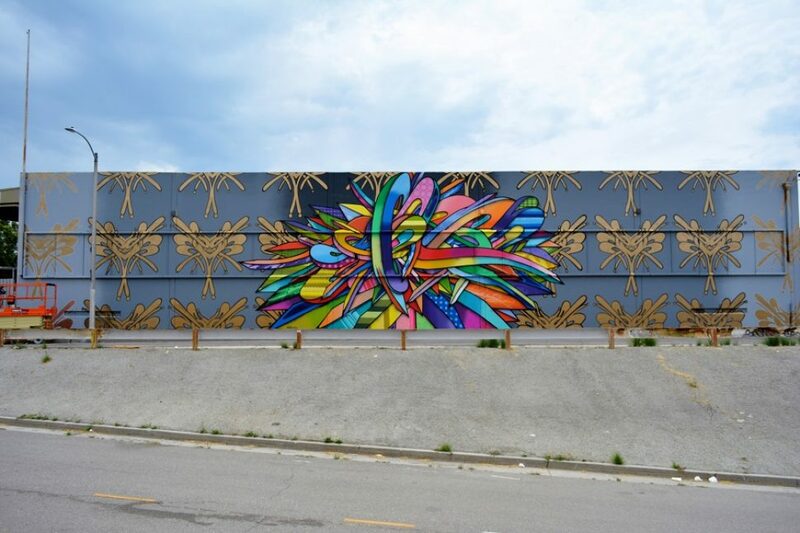 Long Beach will return for the fourth iteration of the public art celebration, readying to add more than 20 murals throughout the city during the week of June 24 through June 30, festival organizers announced today. “When we first brought POW! WOW! to Long Beach, we casually said we wanted to bring the world to Long Beach and vice versa,” said Julia Huang of InterTrend, who worked with the city and several other local organizations to first bring the global artist collective to local shores in 2015 and beyond. Photo by Emily North Tanaka. 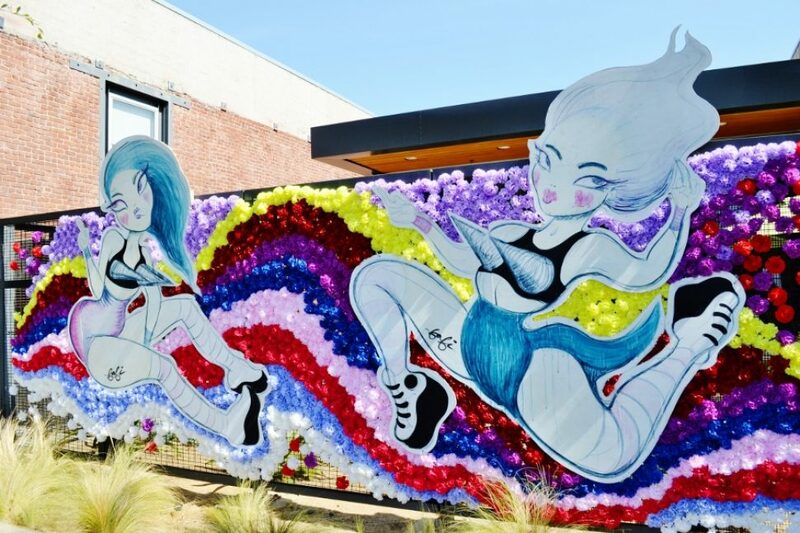 Several internationally- and nationally-known artists will be returning to Long Beach for another go, including Paris-based street artist Fafi, who displayed her empowered Fafinettes in the city’s East Village during the inaugural POW! WOW! Long Beach. Andrew Hem, whose collaboration with Yoskay Yamamoto at Steelhead Coffee in 2016 added a colorful wall to the Cal Heights neighborhood, will also be returning, alongside Steve Harrington, whose customization of Dew Tour’s public skatepark last year energized an already thriving skate competition and later added the playful fixtures and ramps to Long Beach’s Silverado skatepark. It’s also worth noting that Kamea Hadar, co-lead director of POW! 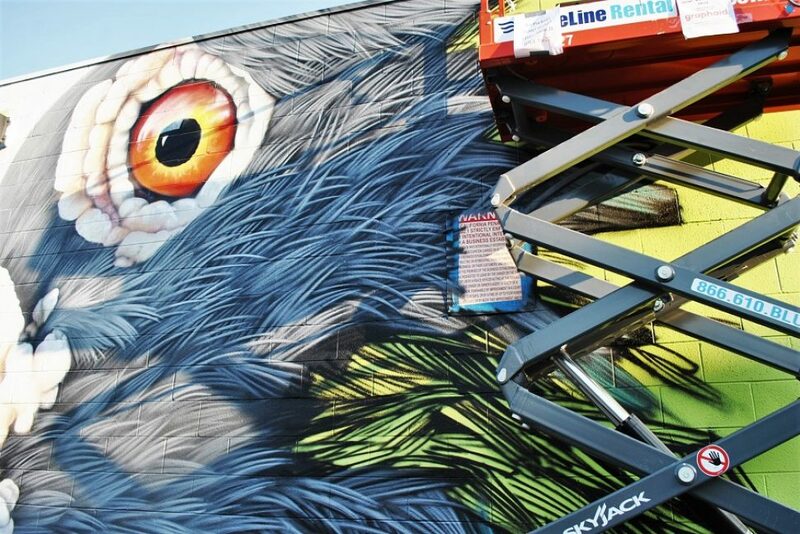 WOW!, will be adding a wall of his own to the extensive collection of 50-plus murals already painted throughout Long Beach during the last three festivals. Here’s the rest of the 2018 lineup: Lauren YS, Shantell Martin, CASE, Evoca, KozDos, Leon Keer, Juan Travieso, Kaplan Bunce, Fintan MaGee, Sydney James, Spenser Little, Juane, Wiley Wallace and Bordalo II. What’s especially exciting, particularly for residents and fans of local muralists, are the Long Beach favorites joining the festival. The prolific Jason Keam, Shane Sun, Ms. Yellow, NeverMade, Joon the Goon, Noelle Martinez and Tatiana Velazquez have been invited to participate. Martinez returns for her second POW! WOW! Long Beach, following her vibrant addition to North Long Beach during her first festival last year. 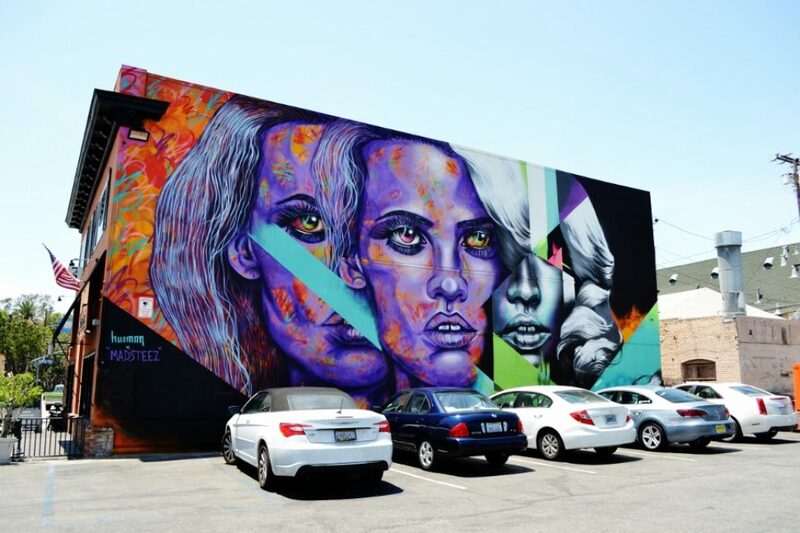 Keam will add to his growing Long Beach presence, which includes his most recent work for Whole Foods Market 365, with Velazquez on the same track after painting her first mural off Cherry Avenue and Broadway in February. And after a brief hiatus last year, the Long Beach Museum of Art (LBMA) will also return with Vitality and Verve III: Transforming the Urban Landscape in partnership with Los Angeles’ Thinkspace Projects. Artists will paint some of their best work within the museum, only to have their pieces painted over, never to be saved or seen again in person after the exhibition closes in September. 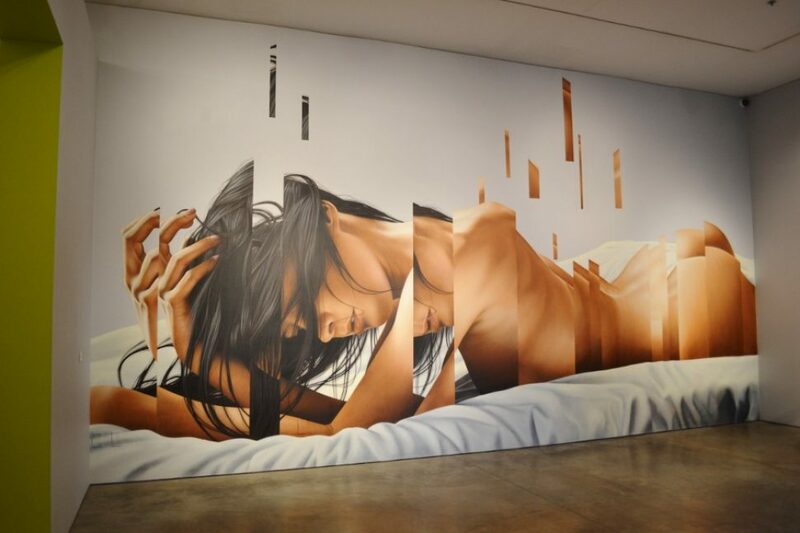 Those painting the LBMA are: Bordalo II, CASE, Evoca, Sergio Garcia, Herakut, Hush, Jaune, Leon Keer, KozDos, Spenser Little, Fintan Magee, Dennis McNett, Drew Merritt, Michael Reeder, RISK, SEEN, Amy Sol, Super A, Juan Travieso, Dan Witz and Lauren YS. Events and activities will be held throughout the week including the POW! WOW! Long Beach Pop-Up Shop to be located at MADE by Millworks, artist Talks/Q&A’s, and a limited edition shirt release with Port LBC, organizers announced. Additionally, POW! WOW! School of Music will hold auditions on June 10, with programming to kick off June 18 with student performances scheduled throughout the week of POW! WOW! Long Beach. More information on POW! WOW! School of Music and auditions can be found via the website here. New to the 2018 festival, Papercut Lounge at Art Exchange will curate a print-centric exhibit where festival attendees can pick up limited-edition magazines, books, zines and prints by 1xRun. The exhibit will run from May 26 to June 30 with special events to take place throughout its duration. POW! WOW! Long Beach is free and open to the public. Certain events may require an RSVP which can be found on the website here during the week of the event.